Today we’d like to introduce you to Blake Kimzey. 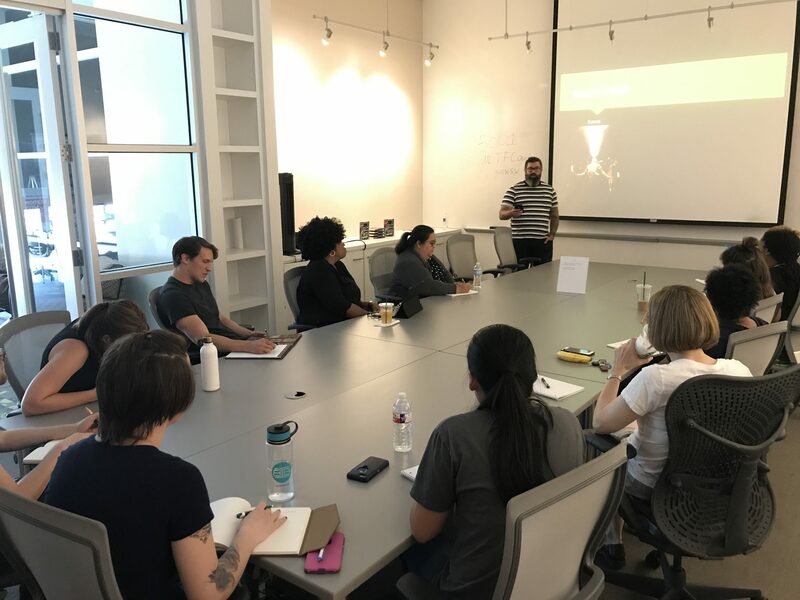 I founded Writing Workshops Dallas to fill a need for creative writers in the Metroplex who want a creative community outside of the university system as well as for those writers planning to apply for and pursue an MFA. 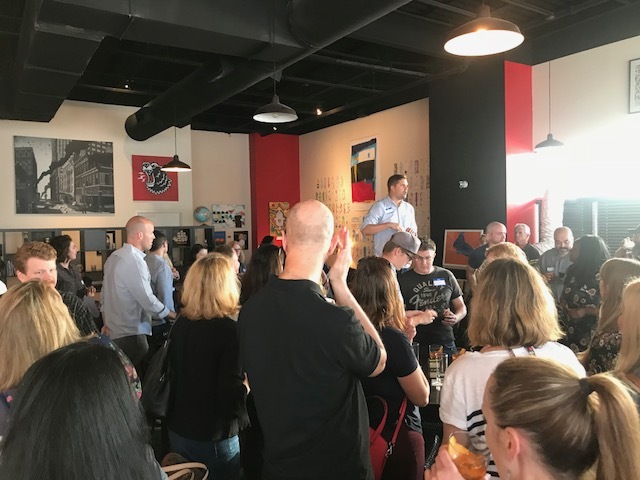 After I graduated from Texas A&M in 2003, I wrote in the dark without the benefit of a creative writing community until 2007, when I enrolled in introductory creative writing night classes at Brookhaven and Richland Community Colleges in Dallas. I became obsessed and took these classes in the evenings after my day job three semesters in a row and found my first creative writing mentor and a trusted group of readers. When me and my wife, artist Danielle Kimzey, moved to Iowa City in 2008, I was able to take these meaningful writing friendships with me, sending work back and forth via e-mail. 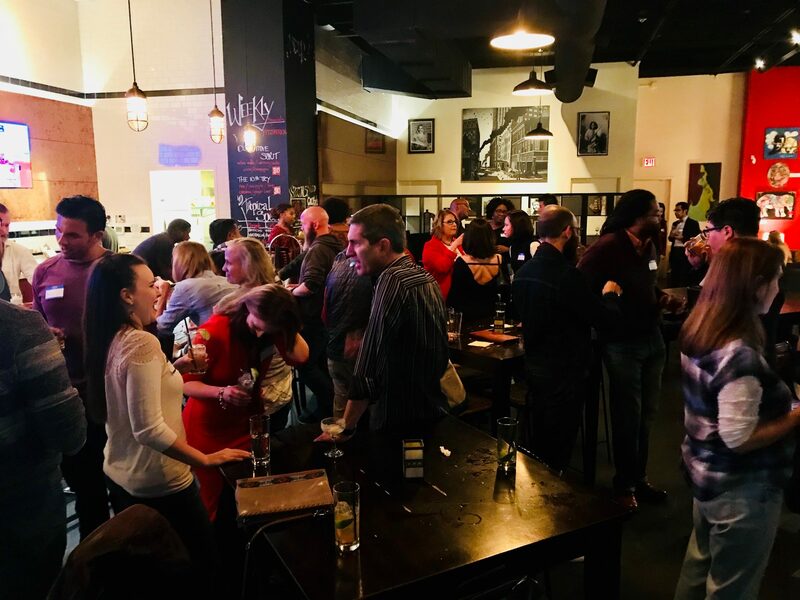 After I was accepted to the MFA program at UC-Irvine in 2011, I found the community that would support and shape my writing career for the rest of my life. 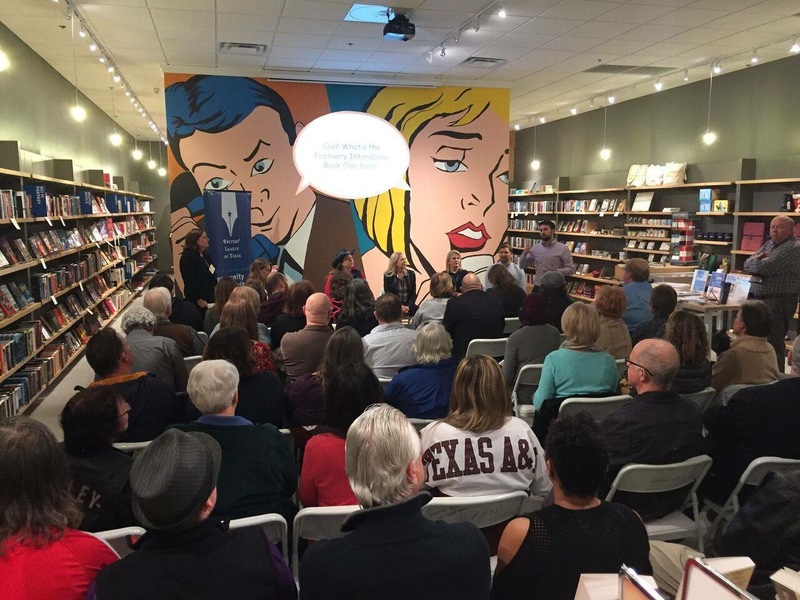 Almost 10 years after I attended my first community college class and moved back to Dallas, I realized the need for an independent writing school within the thriving literary arts scene in Dallas, and thus Writing Workshops Dallas was born. I’m a fiction writer who loves the craft concerns of teaching creative writing. I teach in the Humanities Department at UT-Dallas and also Direct Writing Workshops Dallas. My short stories have been adapted for broadcast on NPR and published by Vice, Tin House, McSweeney’s, Short Fiction, and other places. I have also recently completed a literary crime novel and am working with my agent on that. Teaching is central to my writing process. 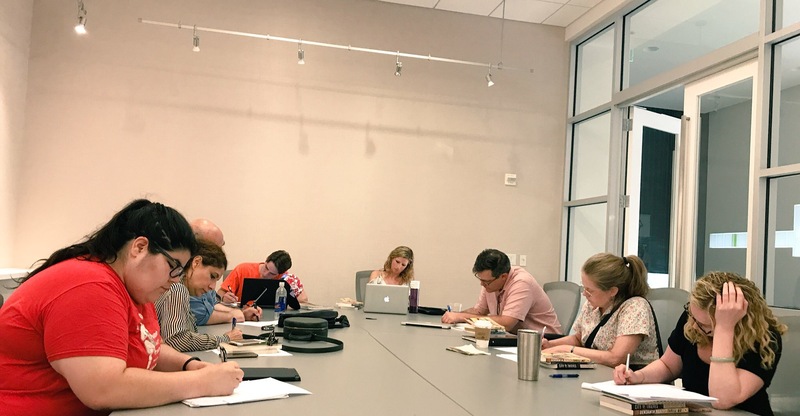 And I started Writing Workshops Dallas with this mission in mind: to bring writers out of the wilderness and into community with each other. 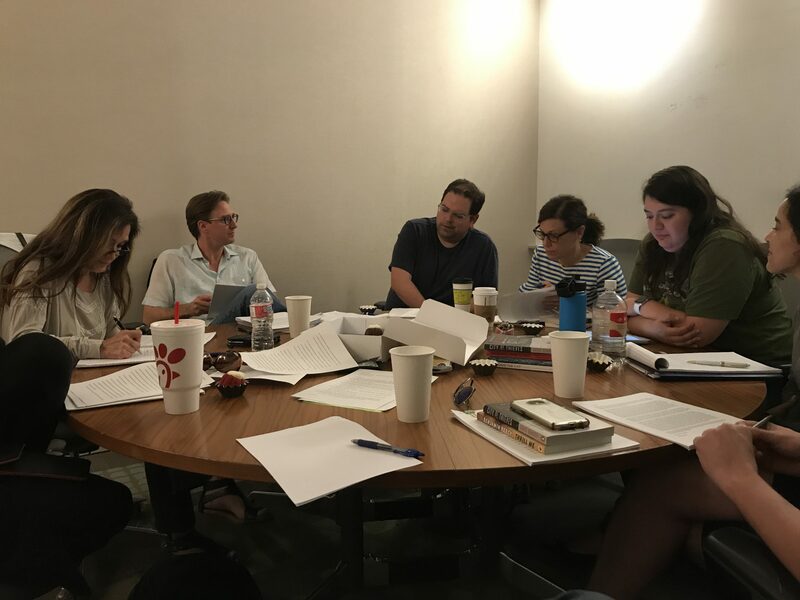 Ten years ago, when I was working in a cubicle with a dream of being a writer, I discovered a writing workshop at a local community college that gave me my first mentor, a trusted group of readers, and, most importantly, deadlines to finish work. I found a group of writers around the workshop table who took my work as seriously as their own. That was transformative for me as a writer and allowed me to take my work seriously. I haven’t stopped writing since. Most artists struggle for years before they are ever compensated for their work in a meaningful way. And even then, the returns can be small. Financial challenges are real and they have been for my wife and me. But we both make work because it is a compulsion. I would encourage anyone struggling to find time to focus on their artwork to know that their work can start to gather in a meaningful way even if you’re only able to spend 10 or 15 minutes a day writing. I have three small kids and a demanding job and I want to be present with my family. So sometimes I’ll steal 15 minutes or half an hour to write a sentence or a few paragraphs on my work in progress. As soon as I stopped romanticizing the process of making artwork and just sat down and did it, no matter if I had 15 minutes or three hours, the work started to get better. I believe as artists we can all find 15 minutes to think about and work on the art that is most pressing to us. For me, that simply means letting the work gather one sentence at a time until I get to THE END. 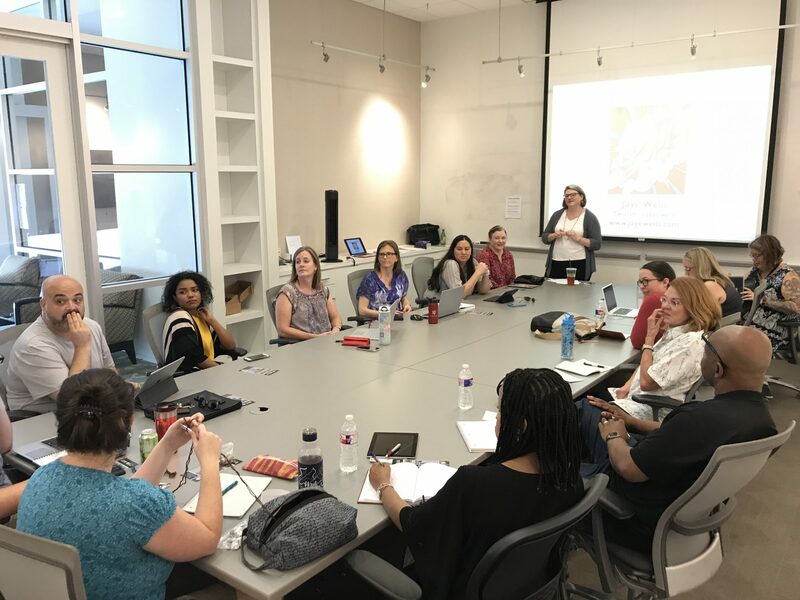 People can visit Writing Workshops Dallas (https://writingworkshopsdallas.com/) to see all of the workshops and seminars we offer. I’m as proud to be named by D Magazine as an Artist to Learn From in 2018 as I am about any of my publication credits.